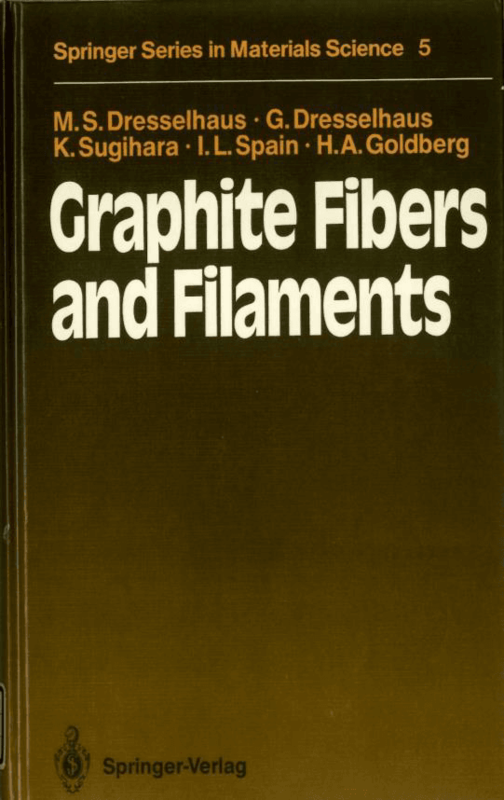 Started working on carbon science. 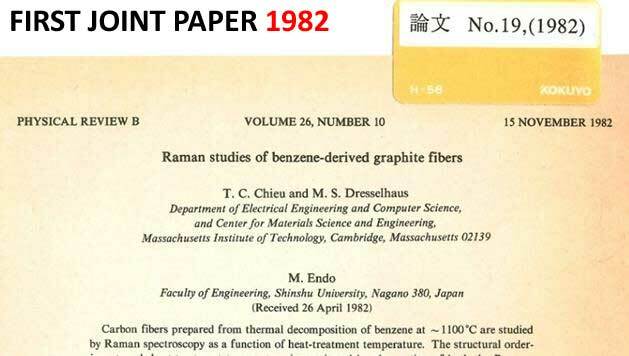 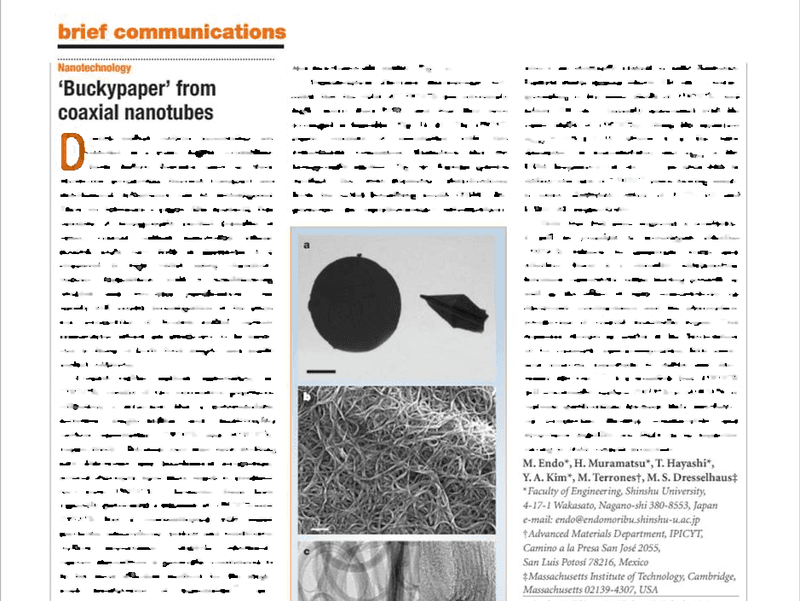 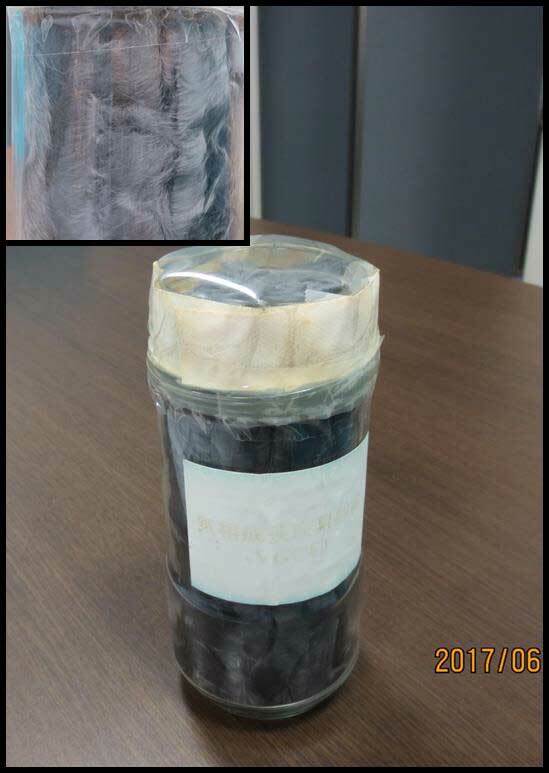 Particularly, growth of carbon fibers by chemical vapor deposition. Filamentous growth of carbon through benzene decomposition, A.Oberlin, M.Endo, T.Koyama, J Cryst Growth, 1976, 32(3), 335-349. 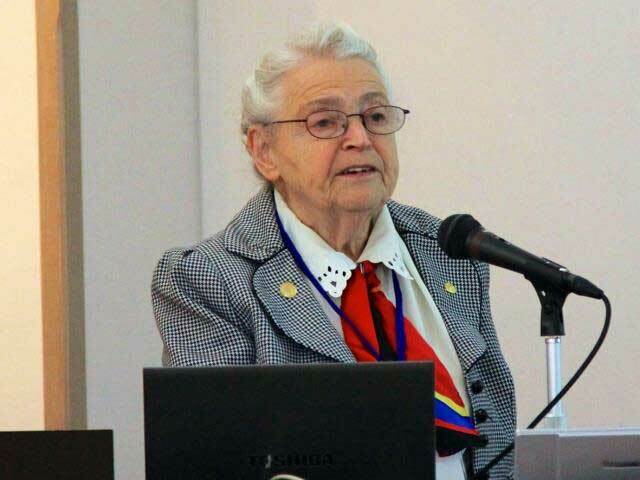 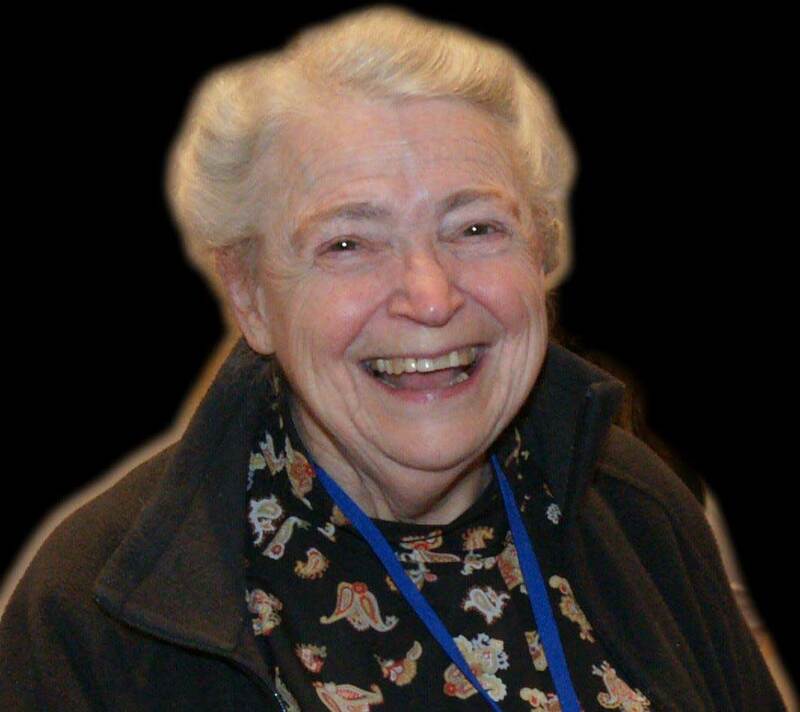 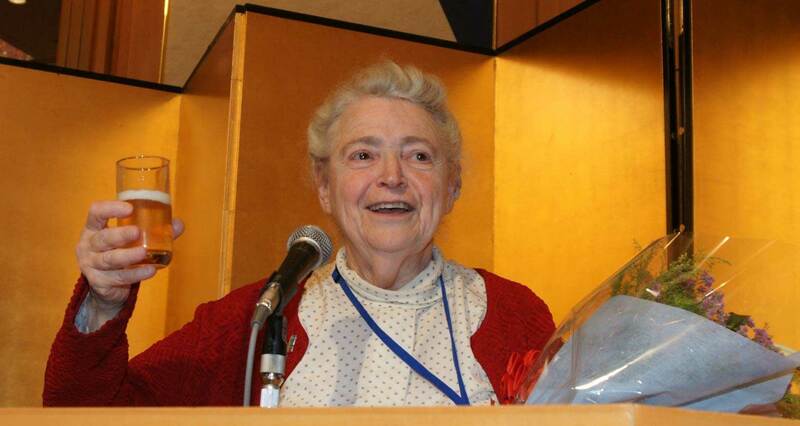 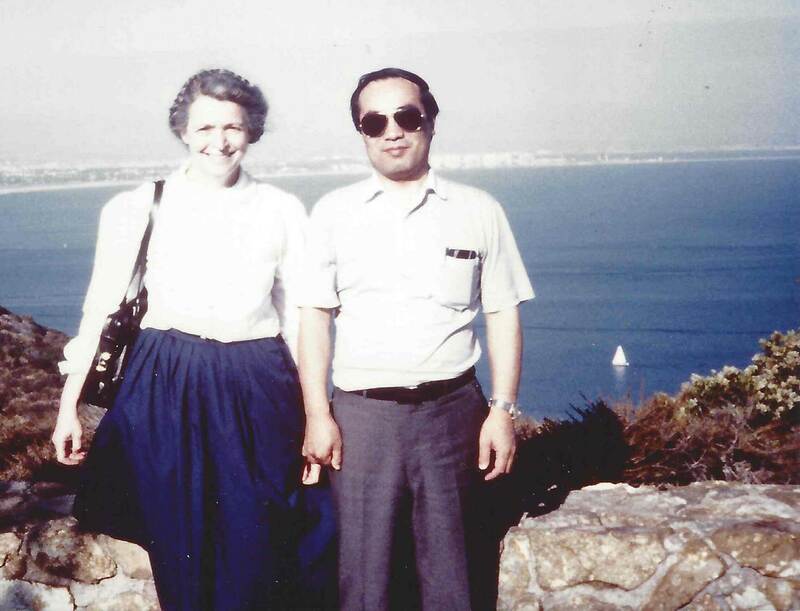 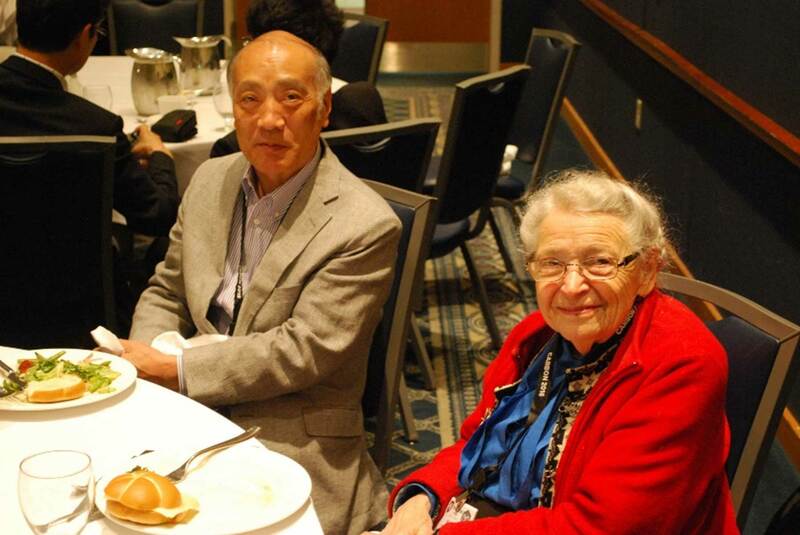 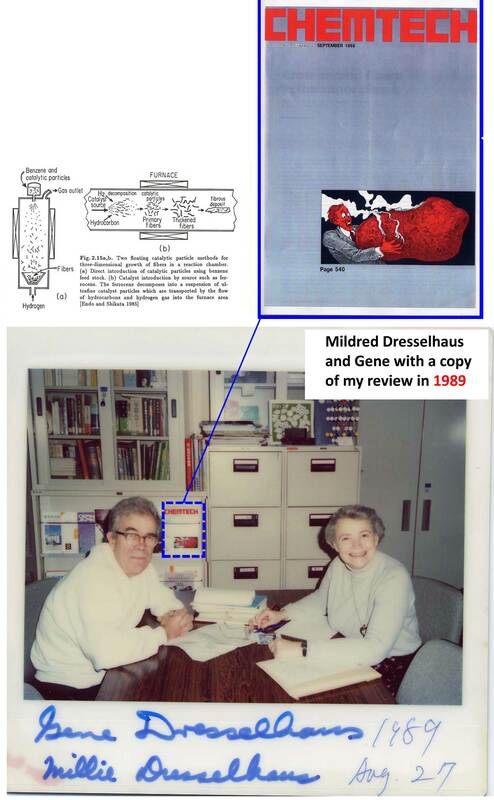 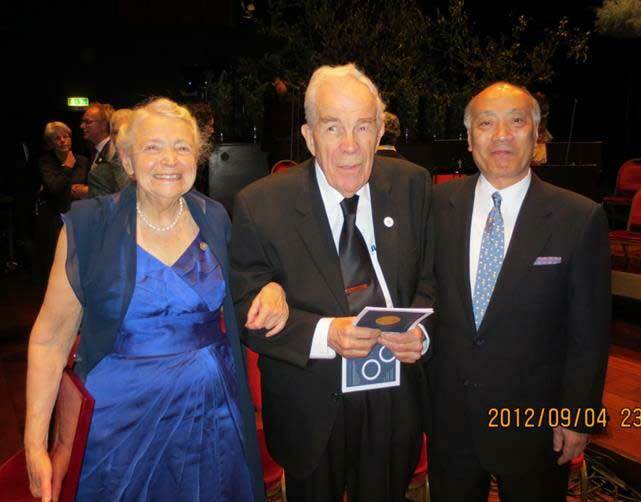 During the 70’s, I was working on carbon and was encouraged by reading papers written by Prof. S. Mrozowski and Prof. Mildred Dresselhaus. 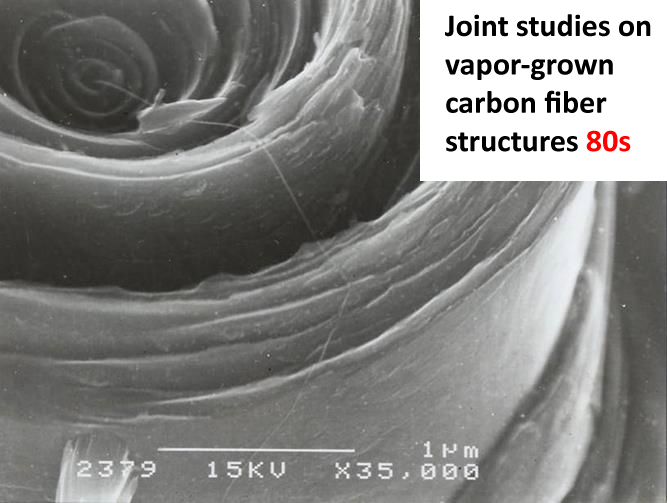 We started our collaboration studying GICs using vapor grown carbon fibers. 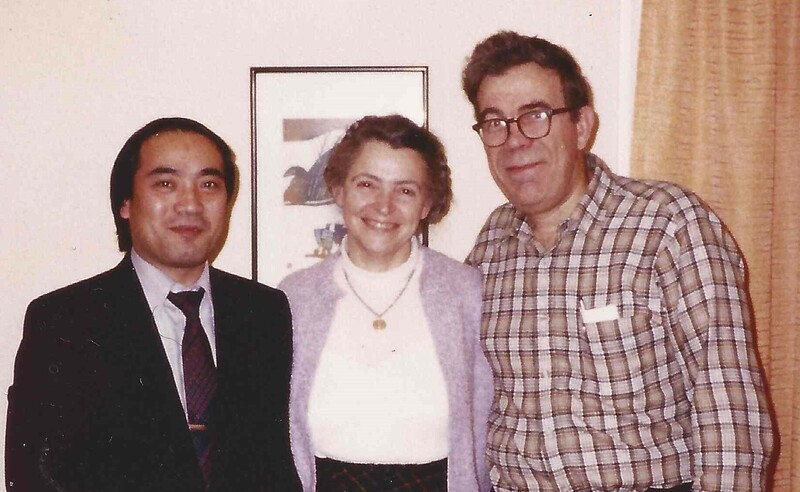 1980 - Collaboration starts, 1980! 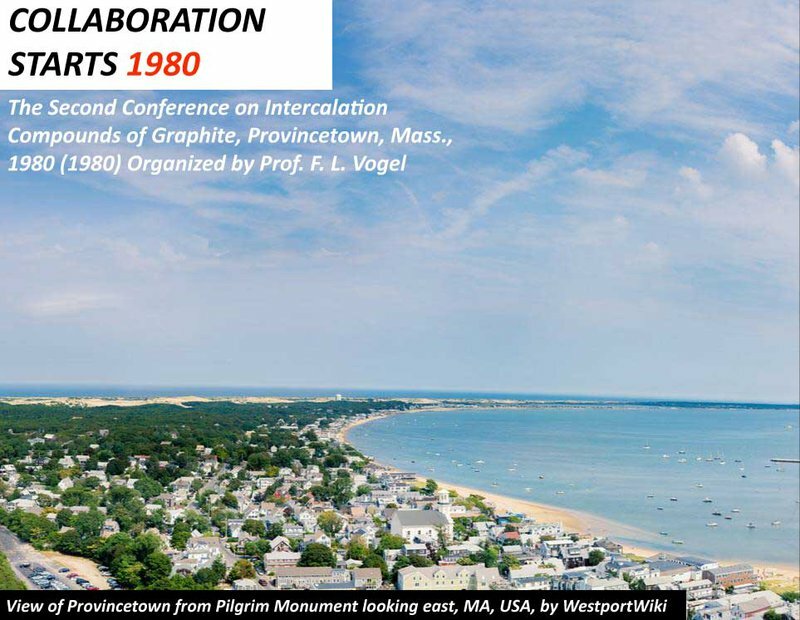 We meet at the Second Conference on Intercalation Compounds of Graphite, Provincetown, Mass., 1980 (1980) Organized by Prof. F. L. Vogel. 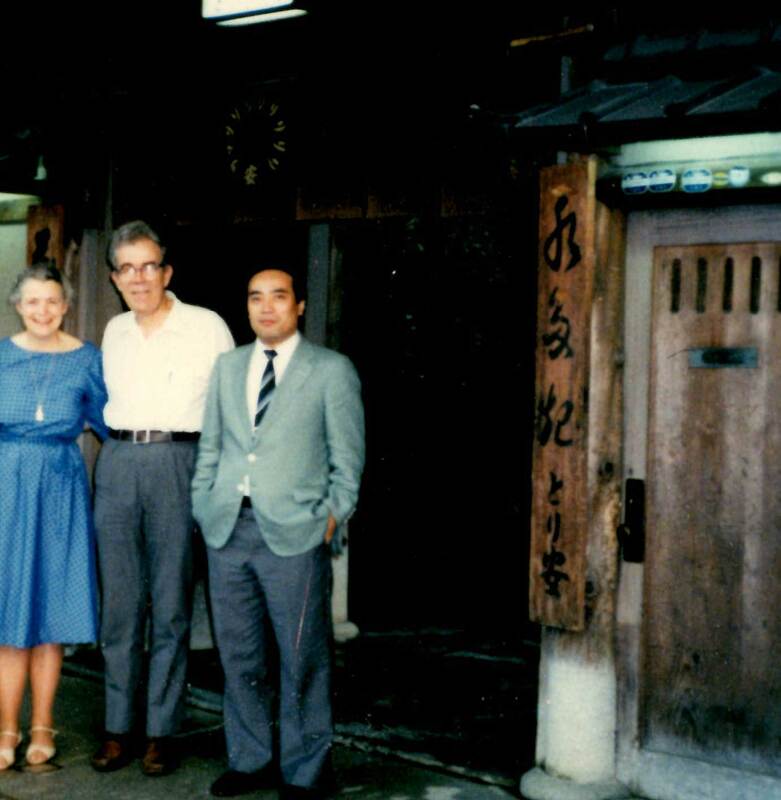 1989 - Millie visits my lab in Japan. 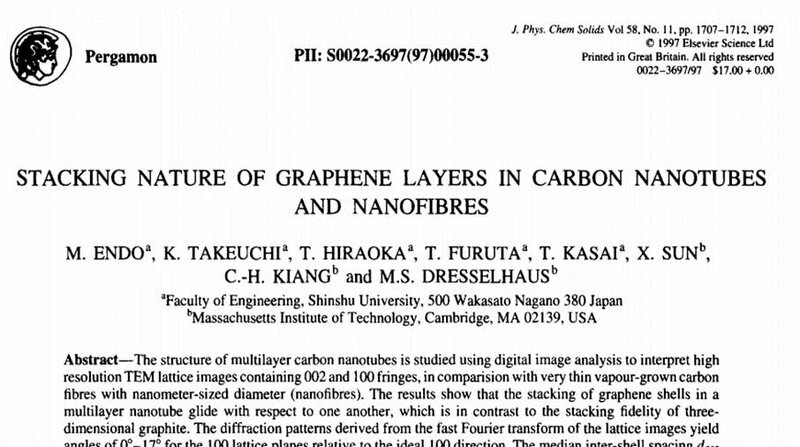 We also studied the effect of heat treatment on vapor grown carbon fibers. 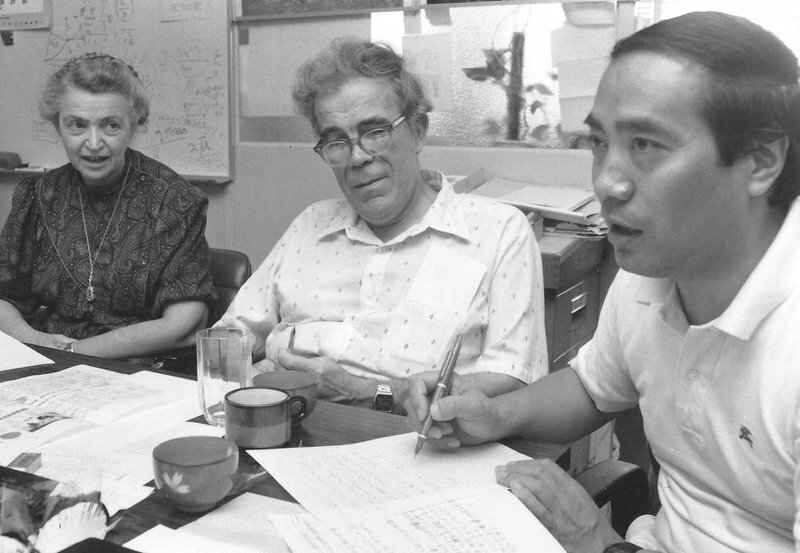 We worked on many types of carbon, but she always kept VGCF’s samples at hand. 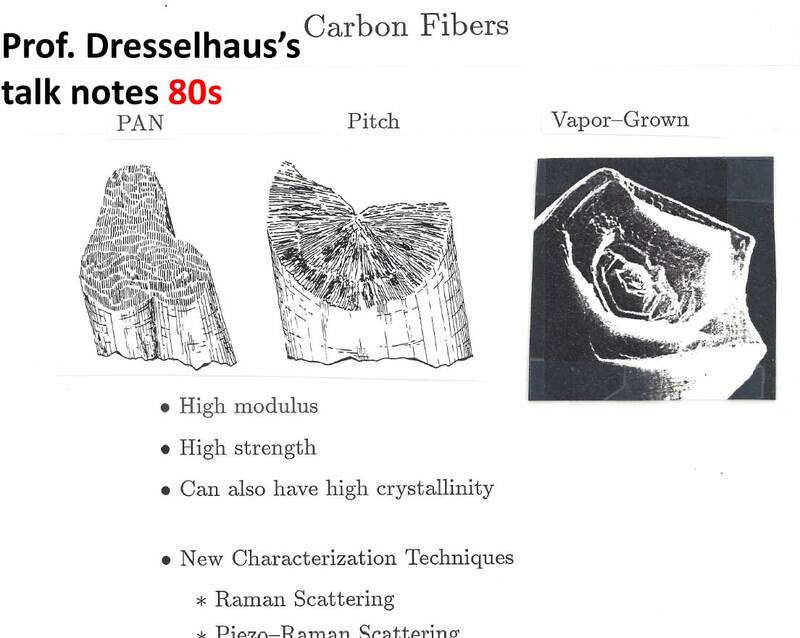 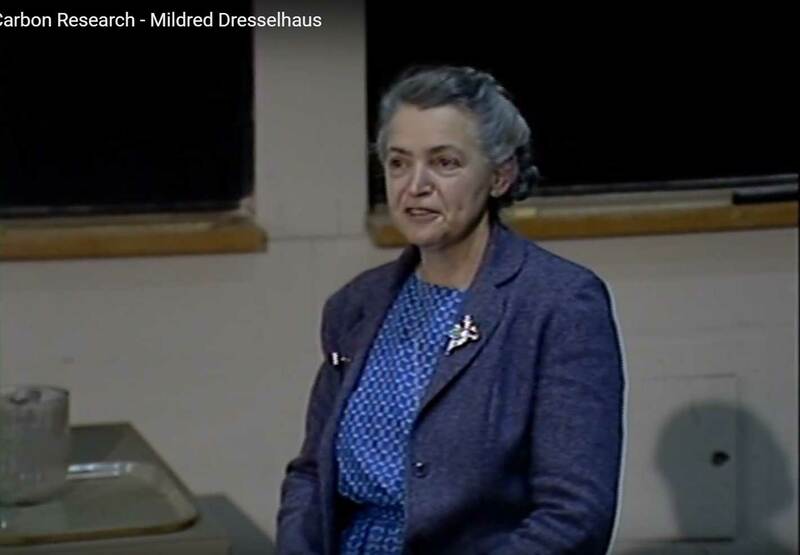 Prof. Dresselhaus worked on all aspects of carbon science, from basic science, applications, and even history. 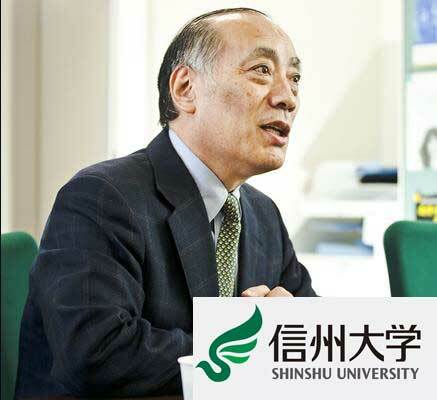 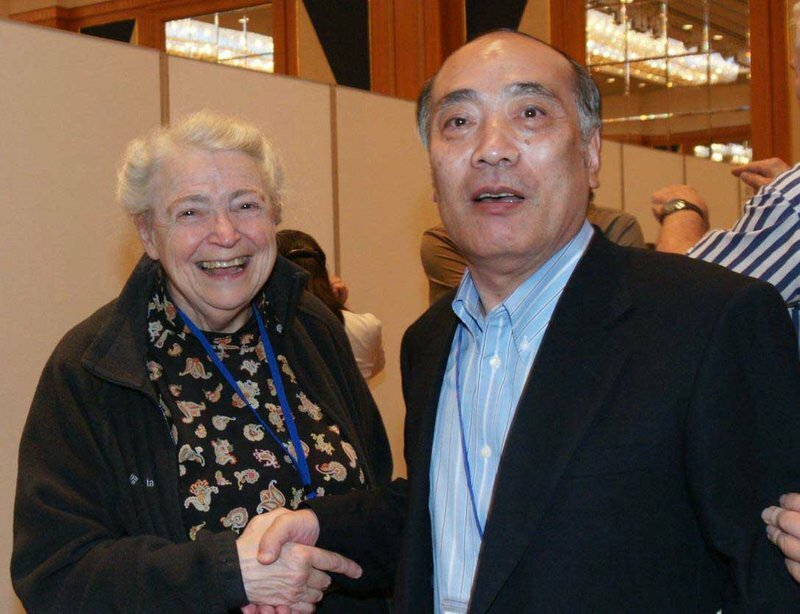 Millie-sensei, you are now writing papers in heaven. 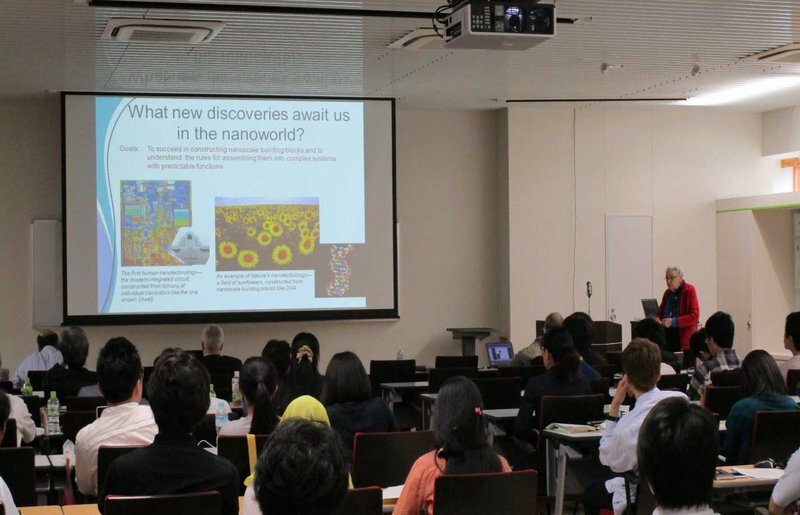 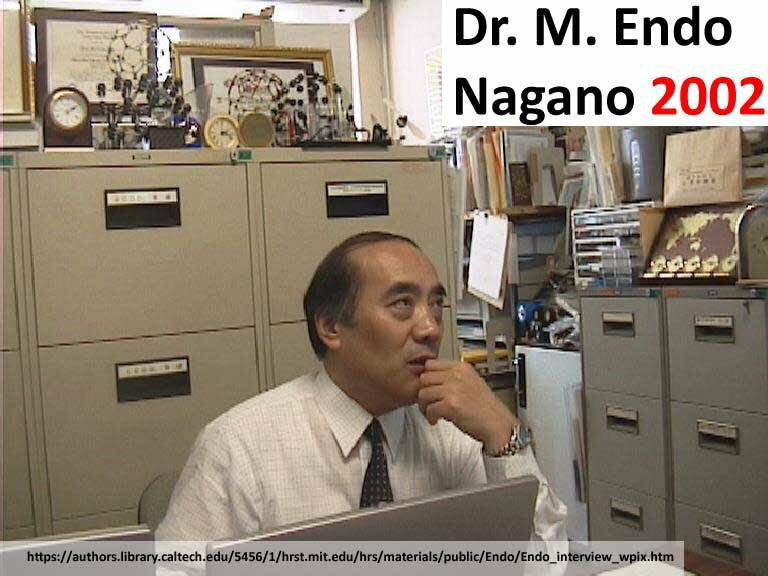 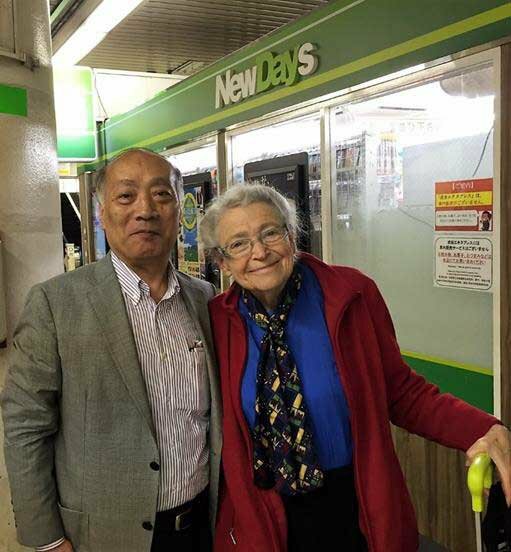 Please watch over Gene-sensei and your family that you loved and also world scientists for further development, as our researcher’s common mother. 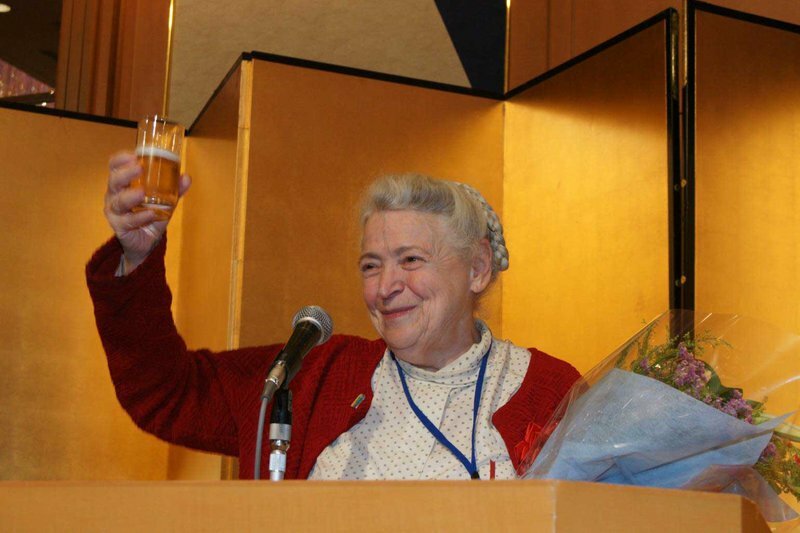 Thank you very much, Millie-sensei, and good-bye.